Fried Zucchini Chips are a wonderful way to enjoy fresh zucchini. Fried Zucchini makes a delicious appetizer or even a side dish. 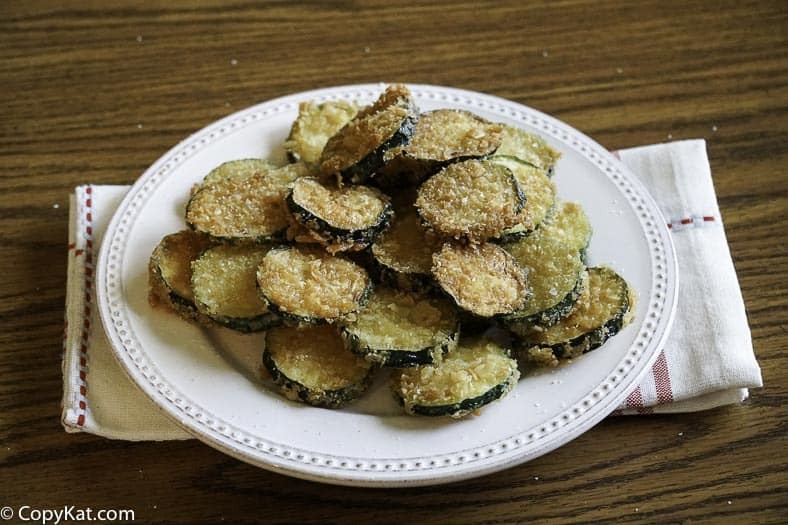 Fried Zucchini Chips are a great way to enjoy fresh zucchini, growing up this was always on our table during the summer. I grew up in Pueblo, Colorado, and we had a large garden. For a few weeks out of the summer we were enjoying treats like Zucchini bread, Zucchini cake, and well these Zucchini chips. My Mom made these very simple, these are made with saltine cracker crumbs, eggs, and zucchini, and plenty of salt. To make wonderful summer vegetable, you simply need to wash them, and slice them about 1/4 inch thick and then you make a simple egg wash and coat the zucchini with cracker crumbs. This side dish takes no time at all to make, and you could make some modifications to this recipe to make it your own. The variations you could try would be to switch out the cracker crumbs for bread crumbs, you could add a tablespoon or two of Parmesan cheese. You may want to use panko bread crumbs as well. Any of these changes would be easy to do. I hope you give this recipe for these zucchini chips a try soon. You don’t have to make these in summer only, you can always get fresh zucchini at the store. Looking for other ways to prepare fresh Zucchini? It's not summer without fried zucchini. Wash zucchini, and slice into 1/4 inch rounds. Scramble two eggs in a shallow pie plate. 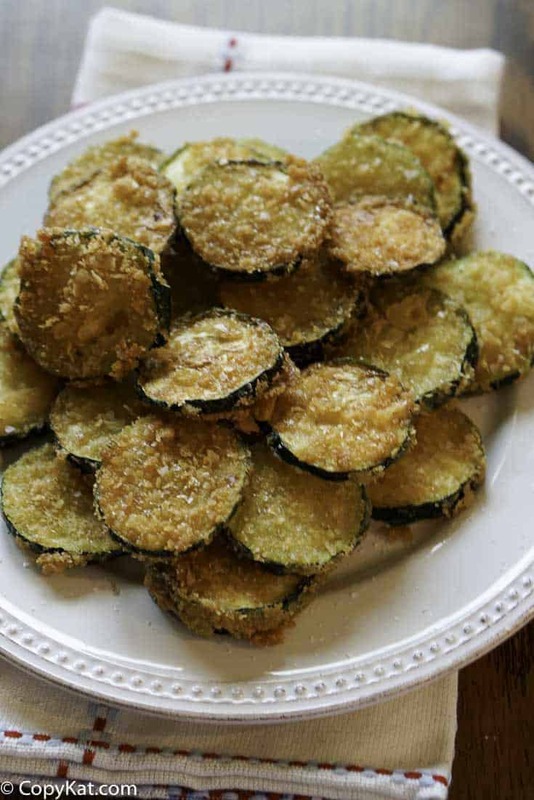 Place zucchini rounds into the egg wash, then coat with cracker crumbs.Fry the cracker crumb coated zucchini rounds in 350-degree vegetable oil for 1 to 2 minutes or until the rounds are golden brown. Drain zucchini rounds on a wire rack before serving. Reminded me of growing up, very good. My grandmother used to make these all of the time. Tried these last night, they were great, my whole family loved these. Man, talk about perfect timing, as I have a bunch of Zucchini from the garden right now. I have so many zucchini right now, everyone loved the zucchini chips! That looking so yummy and it looks like very healthy fried food. Definitely trying this. Trying to replace the killer foods for things simular. Chips will go out the door. Thanks so much.